Having served as the senior pastor of First Church for just over four years, Brian is still awed and humbled by what God is doing. “I have never been a part of a congregation where growth was not only expected, but almost demanded,” he explains. 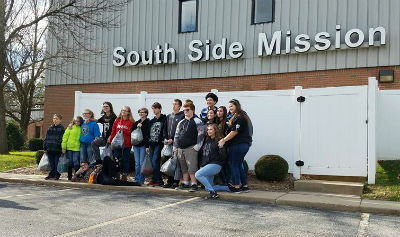 The youth group is on mission for Christ, too! Although budget restraints proposed occasional problems along the way—especially when the church numbers were still in the teens—the body of believers at First Church continued to be invested in both the ministry and the mission. And the result of their enduring faithfulness has proved itself in dividends. Not only are their financial needs continually met, but their spiritual needs, as well. In the past four years, over 60 members of the congregation have come to Christ and 40 have been baptized. 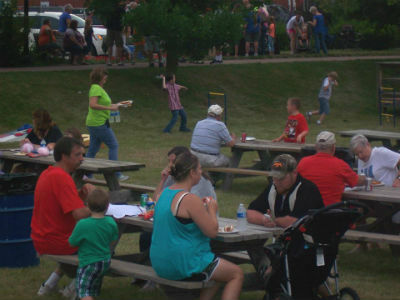 Community event at which First Church was involved. 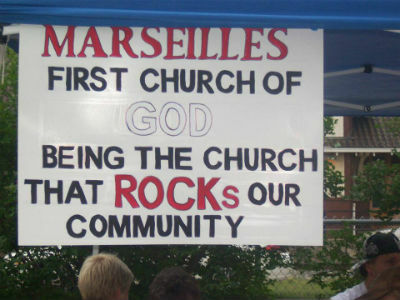 In Marseilles, Illinois, across North America, and around the world, God is on the move in the Church of God. Join the movement. Reach our world. Donate today at give.jesusisthesubject.org. This entry was posted in All Church of God, Great Lakes and tagged Brian Hefner, church growth, church turnaround, community, discipleship, First Church of God, IL, Illinois, Jesus Is the Subject, Marseilles, Megan DeBruyn, outreach. Bookmark the permalink.